Nigeria's information Minister, Lai Mohammed, has said President Muhammadu Buhari will now run Nigeria from his residence at the presidential villa. Mr. Mohammed made the revelation today while speaking to state house correspondents at the end of the meeting of the federal executive council (FEC). 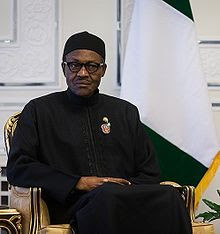 At the meeting chaired by the Vice President Yemi Osinbajo, Mohammed said Buhari needed some rest and has asked that all the files on his desk be brought to him at his official residence for treatment. President who didn't show up for the FEC today, has hardly made a public appearances since he returned to the country after his medical vacation in England.